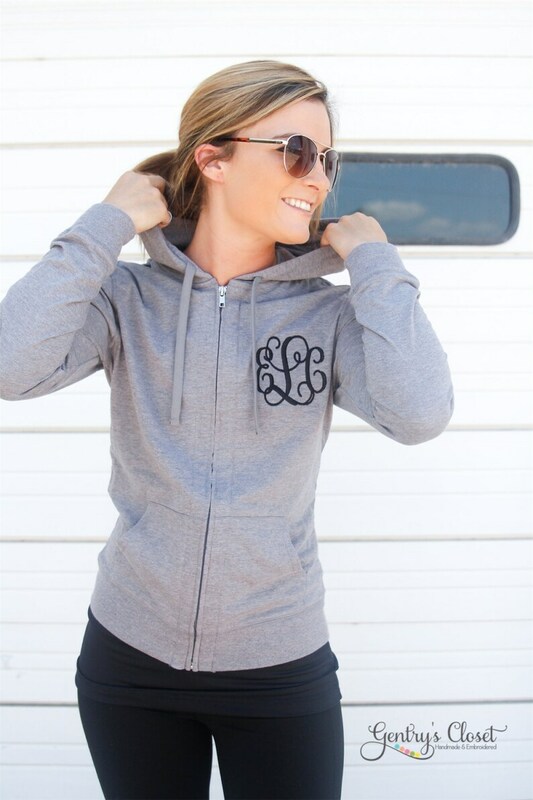 A lightweight, monogrammed women's hoodie! Perfect for Spring days or cool Summer evenings. Casually cool, this hoodie adds a light layer to any look. This darling zip up sweatshirt makes a great personalized gift for bridesmaids and birthdays! Ordered an extra small and it fits great. Love the lightweight hoodie, and the monogram looks really good.